Kyadondo East member of parliament Hon. 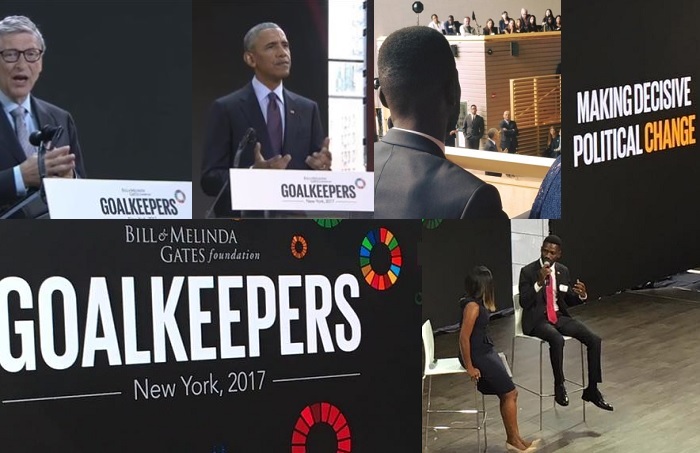 Kyagulanyi Sentamu aka Bobi Wine was arrested as he returned from New York where he was rubbing shoulders with Microsoft Corporation co-founder and American business magnate, Bill Gates and Barack Obama, the first American African politician who served as the 44th President of the United States between 2009-2017. On arrival at Entebbe International Airport (EIA), Bobi Wine supporters who had thronged the airport in large numbers got a set back when the Kyadondo East legislator was arrested right from the airport. 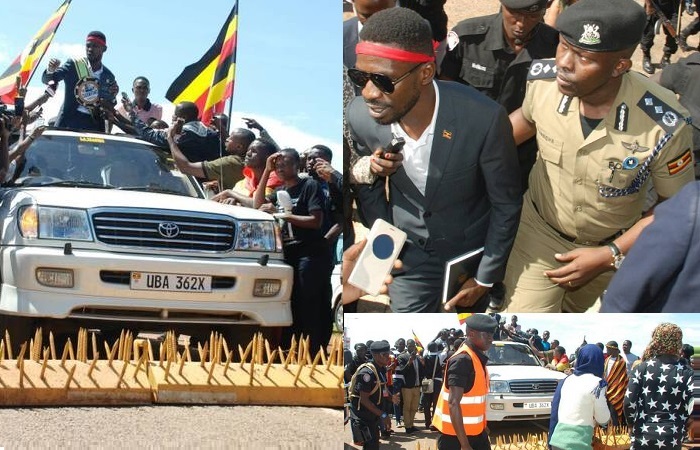 According to Uganda Police, Bobi Wine circulated an audio and video clip on the internet before he left the country for the Goalkeepers conference in New York. In the clip, Bobi Wine was bitter with the legislators who were supporting the motion to remove the cap on the Presidential age limit. His supporters out numbered the police men deployed to carry out the arrest by forcing Bobi Wine in his creme Land Cruiser. The Kampala Metropolitan Police Commander, Frank Mwesigwa, ordered the Police to block all airport exit routes and this is how he was arrested. In the clip which the police say was inciting violence, Bobi Wine is bitter with the legislators who are in support of lifting the age term limit. They later managed to take him to Entebbe Police station where he made a statement. While at the police cell, Hon Kyagulanyi was sampling some of his 'Togikwatako' songs amidst cheers from inmates he was locked up with. He was later released on police bond. In a related development, police issued summons to four legislators over similar remarks, two of which appeared before the Police CIID headquarters in Kibuli. The bill will be tabled next week and the members of parliament will vote on whether the President should stand even when he is beyond 75 years of age or not.